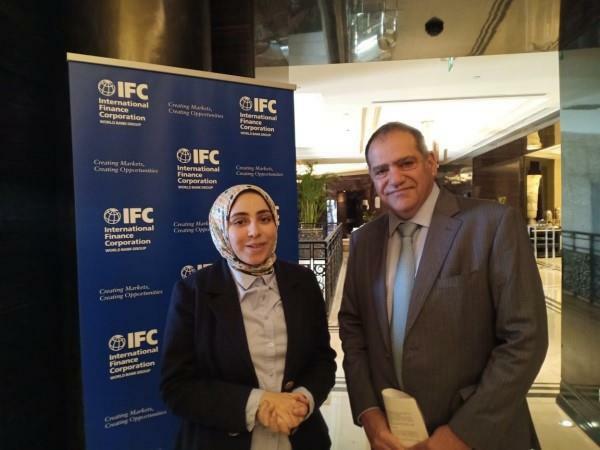 (MENAFN - Daily News Egypt) The International Finance Corporation (IFC), a World Bank Group member, invested close to $200m in the Egyptian market over the last eight months, the IFC Country Manager for Egypt, Libya, and Yemen, Walid Labadi, told Daily News Egypt (DNE). The IFC chose Egypt earlier as a model for its investments in Middle East and Africa. It announced in the beginning of the current fiscal year (FY) 2018/19 that it aims to invest up to $1bn over the FY. DNE interviewed Labadi on the updates of the IFC's plans in the Egyptian market. The interview also focused on the IFC's efforts in supporting the private sector by facilitating access to finance, improving crucial infrastructure services, and promoting gender diversity in the workforce. One of the IFC's target investments in Egypt is the renewable energy sector; can you elaborate about the corporation's investments in this area? The project's labour force is mainly provided from the local community in Aswan. In FY 2018, the IFC invested $1.5bn in Egypt's private sector in order to help create jobs, improve local infrastructure, and boost economic growth. That figure, which includes funds mobilised from other investors, represents a record for the IFC in Egypt. The investments have been geared towards helping private sector companies grow, expand, and create jobs. This included a landmark investment of $653m in Benban Solar Park, which once completed, will be the largest solar park in the world. the IFC Country Manager for Egypt, Libya, and Yemen, Walid Labadi Did you recently receive any requests from banks operating in Egypt to finance SMEs? Also, we signed an agreement with Banque Misr in order to support women-led businesses within the bank's SMEs portfolio, as part of the IFC's wider plan to boost financial inclusion for women entrepreneurs in Egypt. We aim to help more banks to tap into this sector. What about the IFC's other projects? Do you think Egypt's reform programme is moving in the right track? For example, it is very difficult to register a mortgaged land because of the land registration's difficulties in Egypt. I think it is an area where they need to improve, so that land owners can get financing and grow their business. What are your expectations for Egypt's growth in the current FY? The second is the ICT sector, as I think the state's agenda goes to efficiency of payments and creating opportunities for people to pay for goods and services electronically. They also focus on developing smart systems which would allow the economy to function effectively. I think the last fundamental aspect of Egypt's growth is to become an energy hub. We think there is a lot of potential for Egypt in gas exports.